As we discussed ideas and I offered up some of my own, I started to notice a theme. Every time a project or activity was suggested where students would get to either take something they made home or give something they made to someone else, they got really excited and enthusiastic. And I realized an important truth: students LOVE making projects that they get to take home with them. 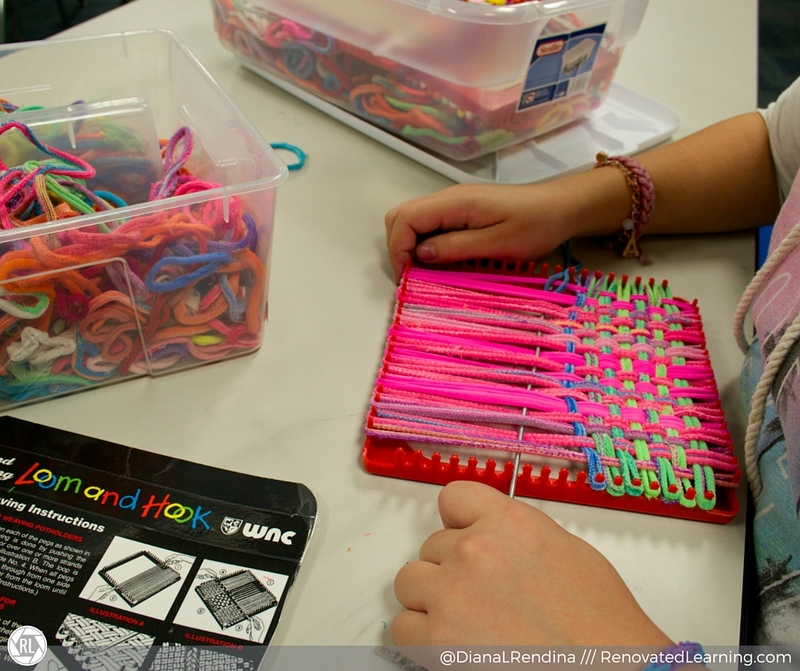 I started thinking back along the history of our makerspace and realized that many of our most popular activities have been make & takes: our Rainbow Loom band fundraiser, the Perler Bead station that we first started with Teen Tech Week, our DIY bookmark center, the arts & crafts parties that first spurred on our makerspace. Then in more recent years, the make & takes at our 2015 MakerFair, our Cardboard Challenge and more. Many of the activities in our makerspace (and likely many makerspaces) tend to be based around reusable and non-consumable supplies. Think K’nex, LEGOs, littleBits, etc. These materials are meant to stay in the makerspace so that ALL students coming to the space will always have something to tinker with. While some projects will go on display, most will remain in the space until they are taken apart and repurposed into something else. Many of my students ask to keep their LEGO and K’nex projects, but it’s unrealistic for us to have a budget where every student can take these types of projects home. To balance things out, I try to find projects and activities that we can add to our makerspace that use affordable materials that our students can take home. I keep the supplies for these types of activities readily available in our Maker Room, which is a space connected to our makerspace that students can access any time they are in the library. Often, when a student takes a project home, I hear positive responses. 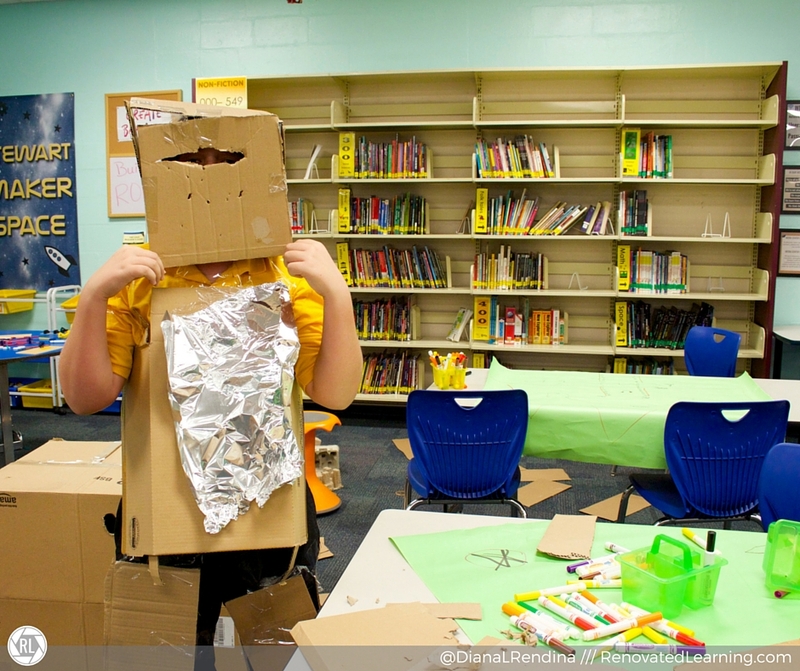 When we held our 2015 Cardboard challenge, several students took their projects home (including the student above who wore his robot suit). The next week, I had several parents asking me to post photos of the students’ projects on our school Facebook page. This brought the conversation about making and creativity home and also served as an advocacy tool, since the parents were excited about what their students were learning. We had several Make & Take stations set up at our Maker Fair this past year and they were some of the most popular activities. Parents and students worked together to weave potholders. Boys and girls alike made Perler bead creations. The button maker was so popular, that we had to start limiting how many buttons each individual could make. If you’re going to be letting students take projects home, you want to have a variety of affordable, consumable materials on hand. Many of these supplies can be sourced through donations and DonorsChoose projects. If people know what you’re looking for, they’re often more than happy to help out. What kinds of Make & Take activities have you tried before? What was the student response to them? 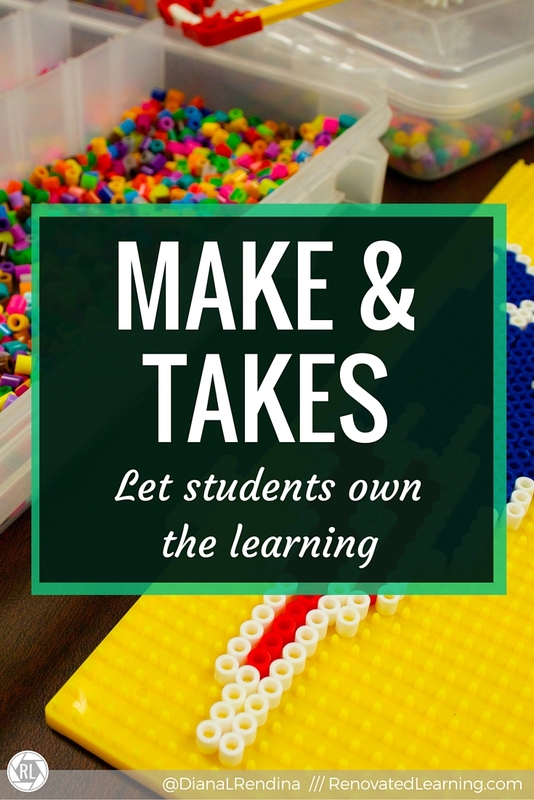 Make & takes have a huge impact on student enthusiasm. When I began teaching, I made wood signs with the students – HUGE success. 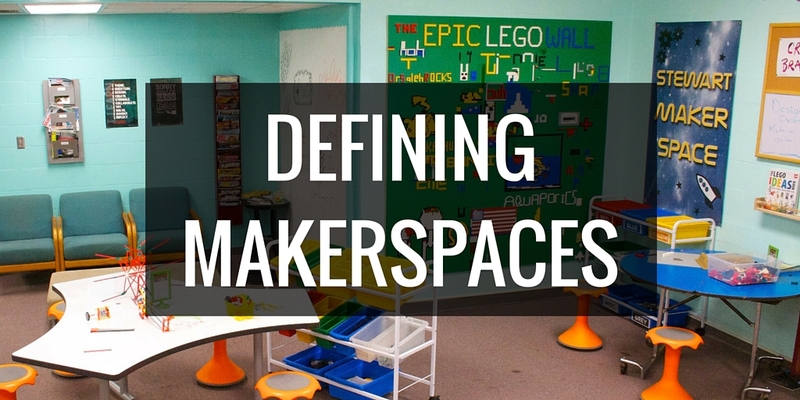 Make and takes help make or break a makerspace. Thank you so much for your comment Liz! I can definitely see your point and I agree that we should want students to value the process over the product. There definitely is an art to finding a balance in all things like this. Excellent reminder that MakerSpaces don’t necessarily have to be stocked with the most expensive tools! 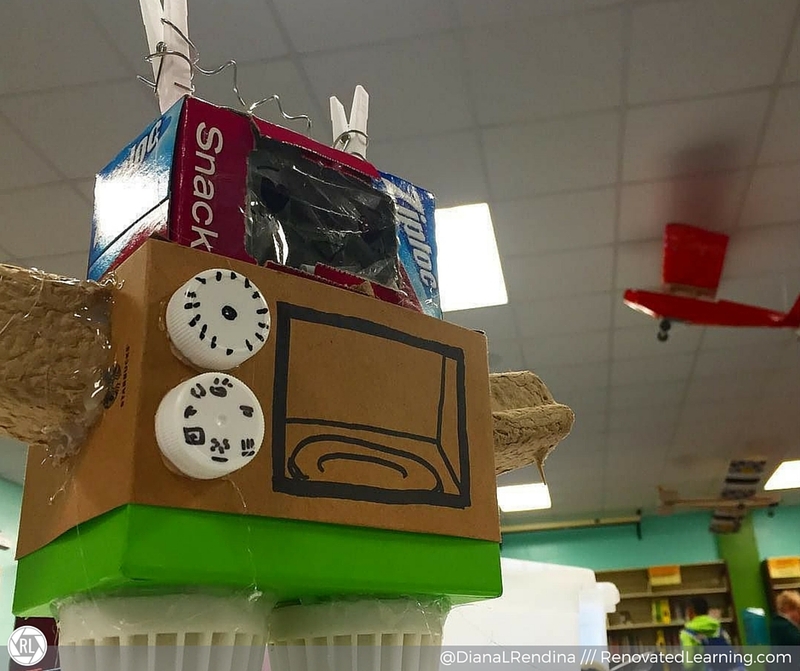 Sometimes repurposing things like cardboard, toilet paper rolls, and other consumables in a make & take creation can build more enthusiasm amongst students and families than anything else! It’s like sending home an advertisement for making! I’m now getting quite a few parents who tell me that their child has started using what used to be trash and recycling containers to make creations at home! In the back of my mind, I think the most wonderful thing about using recycled consumable items is that it evens the socioeconomic playing field! 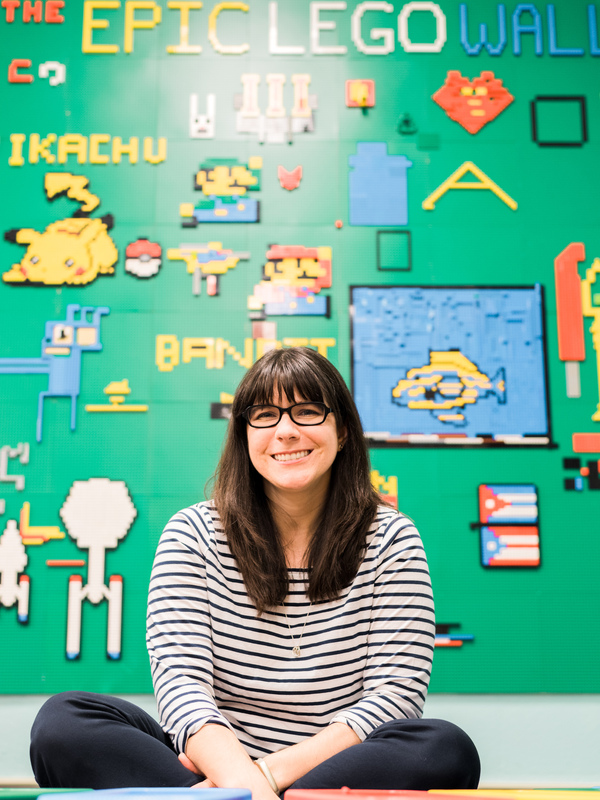 You don’t have to purchase expensive 3-D printers or Snap Circuits to be a Maker! Along those lines, your school doesn’t have plentiful funds to STILL have a great MakerSpace! Thank you for highlighting such a valuable notion!